Herbs and garlic can help keep your flock in fine shape. 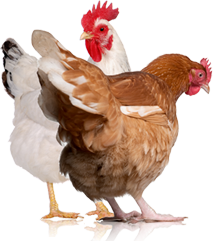 Poultry are susceptible to a dismaying variety of diseases and health problems caused by viruses, bacteria, parasites, nutrient deficiencies and other factors. Marek’s disease, infectious coryza and Newcastle disease are just a few of the nasty illnesses circulating the bird world. 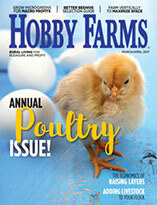 On the bright side, small chicken flocks tend to be hardy and healthy, especially when farmers pay attention to biosecurity and provide their birds with a healthy diet and clean, uncrowded quarters. 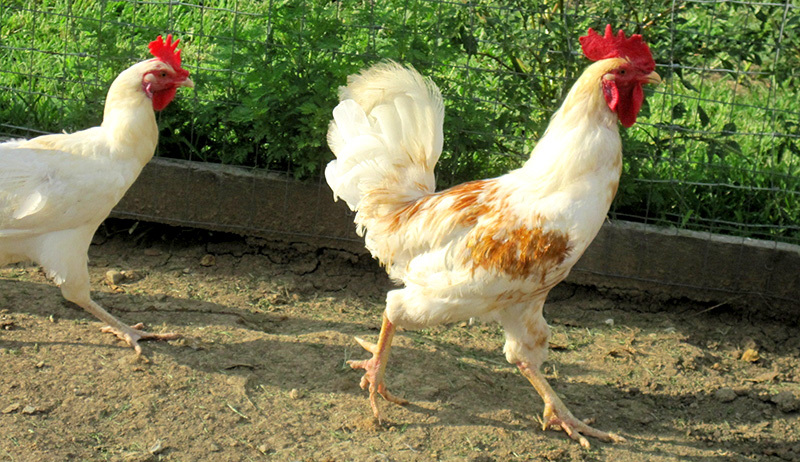 A chicken’s body will give you a lot of signs about its health. Healthy chickens breathe easily and evenly, and they maintain a temperature of around 103 degrees Fahrenheit. Their normal pulse averages 300 beats per minute, but it can reach 400 beats per minute if the chicken is stressed. The wattles and comb on a chicken are more than flashy appendages; they regulate temperature by cooling the blood that circulates through the skin. The wattles and comb should be firm and bright red; a chicken’s eyes should be bright and alert. A healthy chicken will stand erect with its head and tail elevated. The shanks and feet should have plump scales that are clean and smooth with a waxy appearance. The feathers should be smooth, neat and clean — not ruffled or broken and stained. When you pick up the bird, its body should feel heavy and firm. To keep your hens in optimal health, you might consider what you feed them. For thousands of years, cultures around the world have embraced herbs, plants and roots for their healing and medicinal properties. 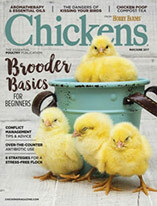 More and more chicken keepers are recognizing that they are what they eat — be that the chicken or its eggs! That means passing by sulfur-based and other synthetic medications and seeking alternatives for their own health and the health of their birds. Consider the following list when choosing an herb for your bird’s condition. Always check with your vet before administering any plants to your chickens, as many varieties can be potentially poisonous. Mint(s): cooling, especially in the summer; all mints stimulate digestion and make a great insect repellent. Note: Purple mint (perilla frutescens) can be poisonous. The benefits of garlic for poultry can’t be overlooked. In fact, if there were only one natural remedy used on poultry, garlic should be it! This powerful vegetable (of which we usually eat the root, or bulb) is a natural antibiotic, so the body does not build up resistance to its benefits. Garlic boosts your birds’ immunities, fighting all manner of ailments from the inside, out. You can easily create a garlic oil supplement for your chickens with this recipe, which serves up to 10 chickens. Steep garlic and olive oil in a glass jar for three to four hours, preferably on a windowsill or in the sun. Combine layer feed and scratch, mix evenly in a “chicken-safe” bowl. Drizzle oil infusion over the feed/scratch mix, and turn to coat. Provide to birds immediately, and use any leftover oil within 36 hours.